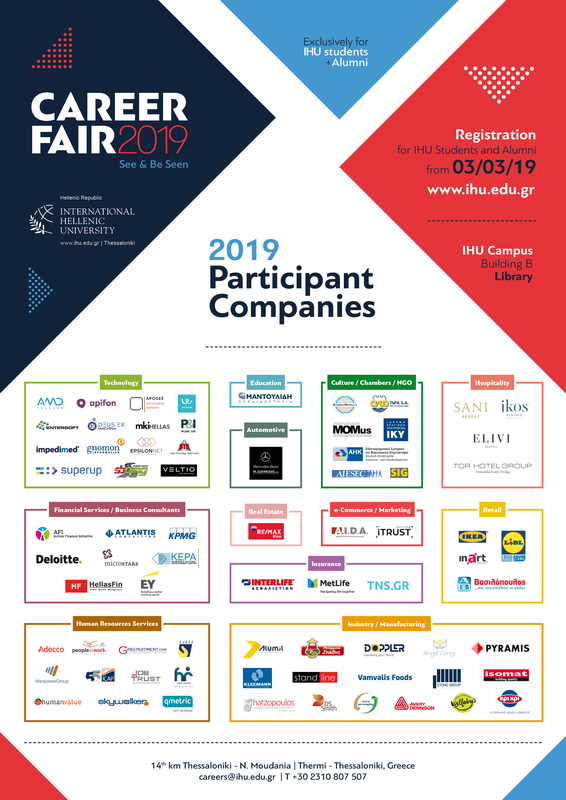 Each year, the IHU Career Fair, organised by our Career and Business Liaison Office, grows larger and better as more and more employers wish to attend one of the best attended by students Career Fairs. Due to large interest for participation, Career Office will give priority to companies actively recruiting for open positions to attend the fair. This year’s fair will take place on Thursday, March 14, 2019 from 11:00 to 19:00 at the IHU Library (Building B).